Earlier in 2015 the Student Committed launched a campaign to protest speculative design practices that target design students. This protest was inspired by the Canadian Government’s contest for a new logo to represent the 150th anniversary of Confederation. This contest employed blatant speculative practices and demanded a vocal response from the design students of Canada. 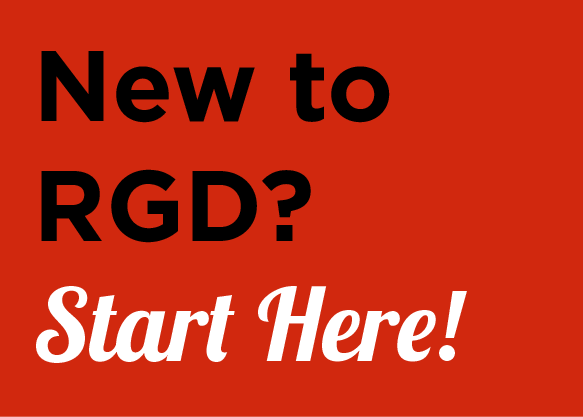 As Chairs of RGD’s Student Committee and Members of RGD’s Board of Directors, we are writing to inform you of a situation that impacts your future within the graphic design industry. The Canadian government has asked students in all post-secondary programs across Canada to design a logo for the 150th anniversary of Confederation. This competition exploits students. Contests like this ask thousands of students to each spend time designing the exact same thing with all but one entry left unrecognized and unrewarded. Only one student entrant’s work will ever see the light of day, and only that one person will receive any benefit. Students are busy preparing for a future career in a world where they can be paid for the work that they do. It is important that the time they (we) spend designing is actually contributing to our future. And it is important that potential clients, like the government, recognize that our worth as designers needs to be compensated. By speaking out against this competition and stating that our time is valuable, we can raise awareness of this exploitative practice and start a conversation about why we will not participate in contests that undervalue the professional abilities of all designers. The RGD Student Representative Committee is speaking out against this contest with the statement and hashtag: ‪#‎MyTimeHasValue‬. Parents, relatives, friends and others who wish to support us can submit images that read – My Daughter’s Time Has Value – or – My Brother’s Time Has Value -, etc. 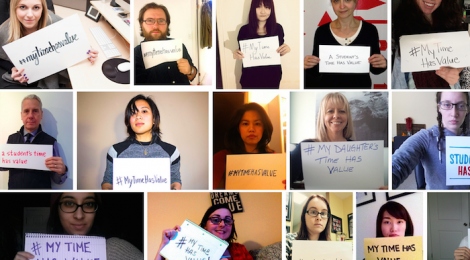 To see those who have contributed and read more about the issue, visithttp://bit.ly/mytimehasvalue. We need to stand together against anyone who believes they can exploit students. We will not be devalued. We are the future of this industry. Our time has value. For anyone interested in finding out more about Spec Work and how it harms our industry please visit: http://www.rgd.ca/resources/no-spec or watch the video below.